Ain’t it curious how no-one gave a damn if you ate Burger King five times a week when you were an omnivore but as soon as you declare you’ve gone vegan suddenly everyone is extremely concerned about your health? It makes me giggle or it makes steam blow out my ears, depending on the day. The idea that vegans are weak, waif-like creatures who drag themselves from one bean-sprout salad to the next, quenching their martyr-fuelled misery with a sniff of patchouli oil every now and then is getting stale. So stale! Especially when we have more and more athletes and body builders flying the cruelty-free flag. But the misconception still lingers, like an egg-eater’s fart. The major concerns seem to be where we get our protein and iron from if we exist merely on ‘rabbit food.’ I examined the myth around protein consumption a few weeks ago, click here to have a squiz. In addition to misleading the public about protein, the marketing minions behind the meat industry have convinced the masses that anything other than red meat is an inferior source of iron. If you’re not munching on meat you’re on the fast train to anaemia-ville honey. This is untrue. Iron is vital for energy production in the body and maintaining a strong immune system. This mineral is essential to red blood cells transporting oxygen and nutrients to every cell in our body. There are two types of iron: heme, which is found in animal products, and non-heme which is found in plants. Admittedly heme iron is more easily absorbed by the human body than non-heme iron. 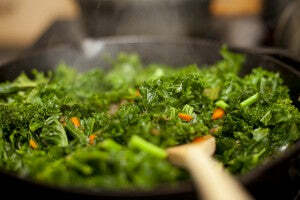 This does not mean it is more difficult to get enough iron on a plant-based diet. Studies indicate that while iron deficiency is one of the most common nutrient deficiencies in the world, men and women consuming a vegan or vegetarian diet do not have higher rates of anaemia than omnivores. Non-heme iron is found in whole grains, legumes, nuts, seeds, tofu, spirulina, dried fruit, cooked spinach, blackstrap molasses and even dark chocolate — like we needed another excuse to eat more of that! Nestle some Vitamin C containing morsels up against your iron source and absorption can increase by up to five times. Wowee! And it’s so easy to do: add a squeeze of citrus to your hommus, throw in some orange segments with your leafy green salad, or top your felafel balls with a tomato salsa. Some of our delicious iron-rich favourites, like broccoli, brussel sprouts, leafy greens and tomato sauce, already have Vitamin C built in — winning! Tea, coffee and red wine contain tannins which inhibit iron absorption. I didn’t know this one so when I gave myself a mental high-five this morning for my breakfast that included wilted spinach and rocket with lemon squeezed over the top I didn’t realise that the bucket of soy latte I guzzled at the same time wasn’t the best choice. It is recommended you avoid these drinks an hour before or two hours after your meal. 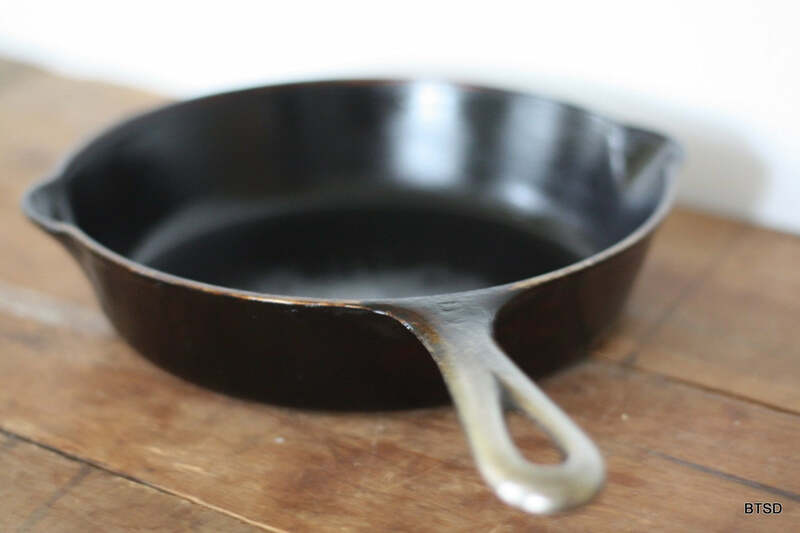 The acid in foods seems to pull some of the iron out of the cast-iron cookware. Simmering acidic foods in an iron pot can greatly increase the iron content of the finished dish. One study published in the Journal of the American Dietetic Association found that the iron content in 100 grams of spaghetti sauce jumped from 0.6 mg to 5.7 mg after being cooked in a cast iron pot. Such an easy way to boost your iron intake!